NavyRecognition is reporting that Myanmar (formerly Burma) has decided to form a Coast Guard. Myanmar has an EEZ of 532,775 square km or about 4.6% of that of the US, but it does extend our to 200 miles from the shore. They also have some offshore islands, and a claim to continental shelf. We don’t know what sort of organization or equipment the new Myanmar Coast Guard will have, but their Navy (19,000 personnel) has an eclectic collection of vessels and equipment from China, Russia, India, the US, and Israel, plus some indigenously produced vessels built in a naval shipyard provided by China. Myanmar has had human rights issues. It is not unlikely that they might welcome some training assistance from the US Coast Guard. It would be a great way to introduce them to the ways of the US Coast Guard. 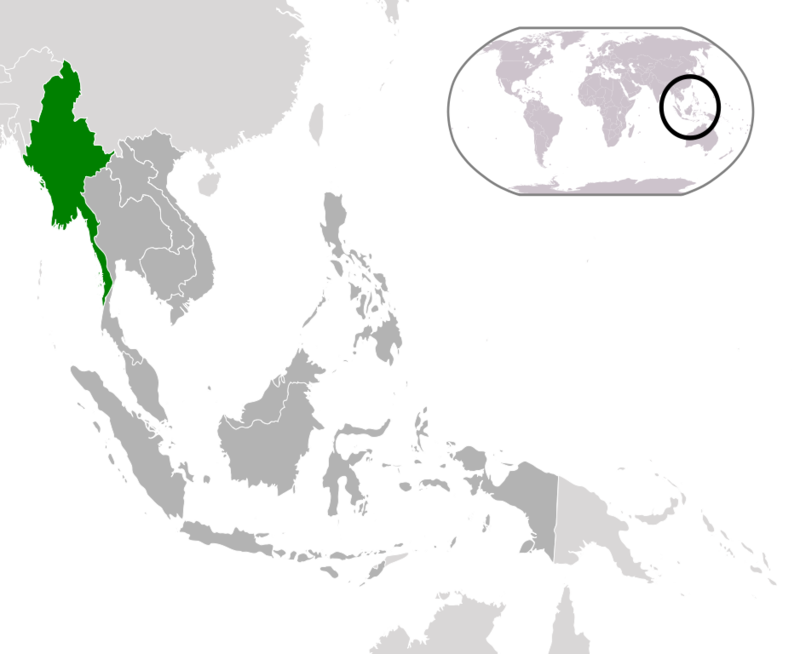 Myanmar, the old Burma, is virtually a client state of China. The population is largely ethnic Burmese with a 2 sizable minorities, Karen in the East and Muslin in the West. Both minorities get wacked hard and often. I wouldn’t even call it a nice place to visit. You ca pretty much guess what the new coast guard will be helping with. On the other hand we want to show them how we do things and offer and alternative to China. It would be a good diplomatic way to introduce them to the US Coast Guard and maybe the US Coast Guard can help steer them into the ways of the US Coast Guard. Oh paging Chuck hill, Looks like Canada is having problems with their version of the USCG’s Sentinel class Cutters. re Nicky’s comment. They changed the design and deleted the stabilizers. Maybe not a good idea. they said it was for fuel and weight considerations. well having never rode the Canadian boats I can’t say. I do know the difference between an 82 with none and a 110 with stabilizers, It was a whole different ride. a lot less snap from side to side and a bit less pitching. some sailors who’s first and only pb was a 110 may disagree. if they were seasick on a 110, they’d have been deathly ill on an 82. never a prob for me on any ship or boat. but I remember guys on a 656 foot oiler getting sick for the first few days u/w. that thing was a large slow caddie.